Our Thanksgiving break continues, and the shop will be closed until we reopen on Tuesday, Nov. 28th. Til then, I have more show-and-tell to share! The theme of this bunch is lace. 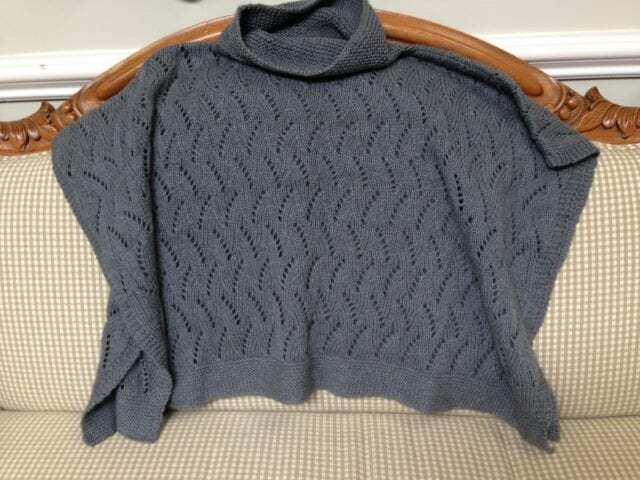 Betty knit this “Stone Point” poncho during Amy’s class here at the shop, her first-ever lace project! The yarn is Fibre Company Luma, a dk weight blend of wool, cotton, linen, and silk. 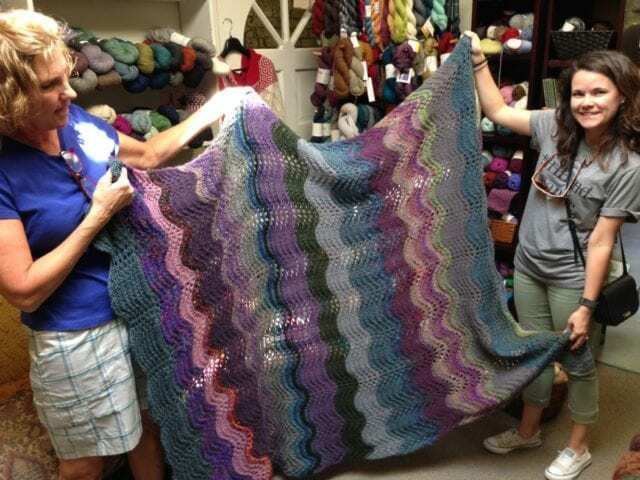 Sherri knit this beautiful blanket for her new daughter-in-law, Leah. 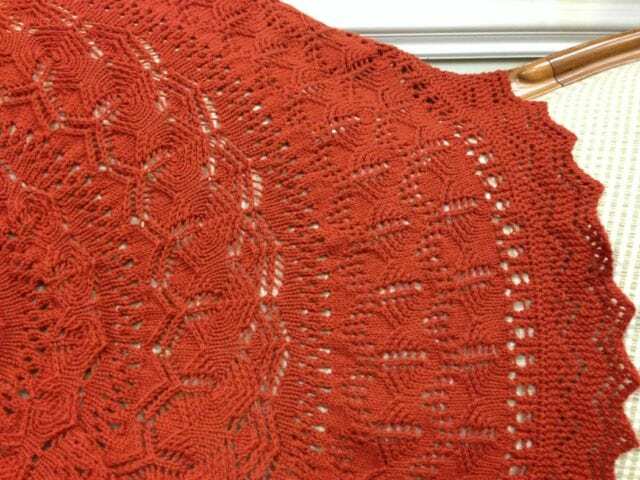 The stitch pattern is good old feather and fan, a great introduction to lace knitting, and the yarn is a wide range of odds and ends from Sherri’s stash – this is a great way to use those bits and pieces and play with color along the way! 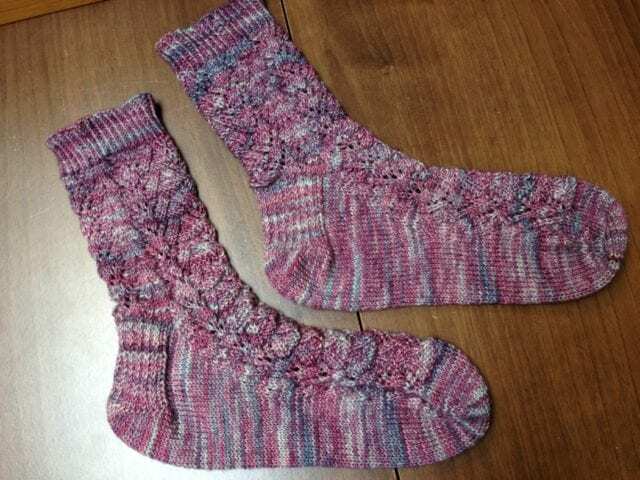 Here is a lace pattern on a somewhat smaller scale: Lois’s “Feather the Waves Socks,” knit with Malabrigo Sock. Lois has found a favorite in this vibrant hand-dyed yarn; this is the third pair she’s made with Malabrigo Sock! After completing that, Margaretta took on Jared Flood’s “Lucca,” this time with Arbor. 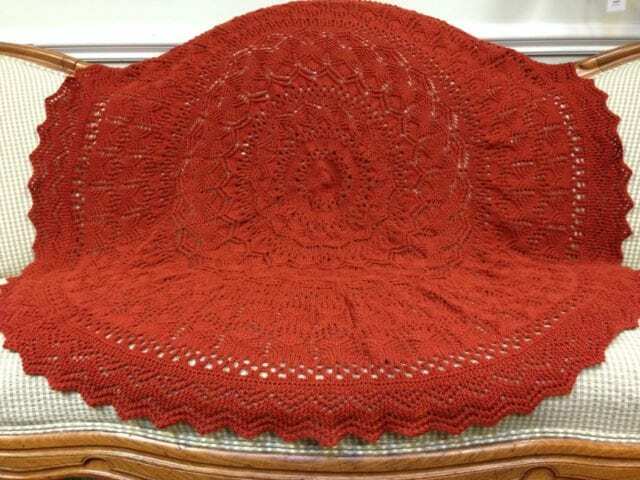 The heavier gauge of this yarn made a more substantial fabric and a larger piece, turning a circular shawl into a spectacular blanket. 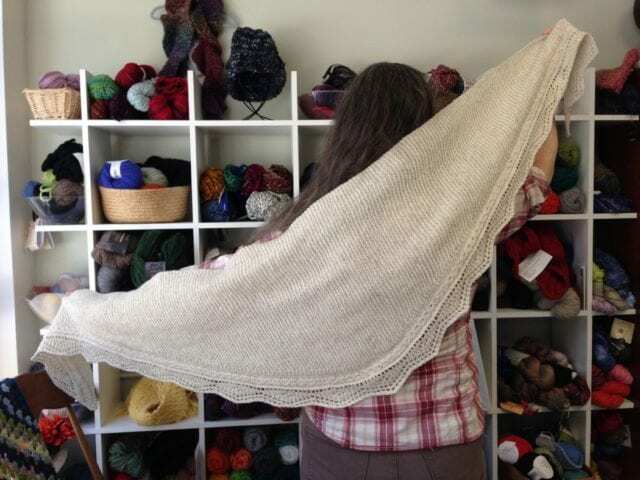 Kellie has been knitting with Brooklyn Tweed, too – here she is modeling her “Hop Brook” shawl, knit with Loft. 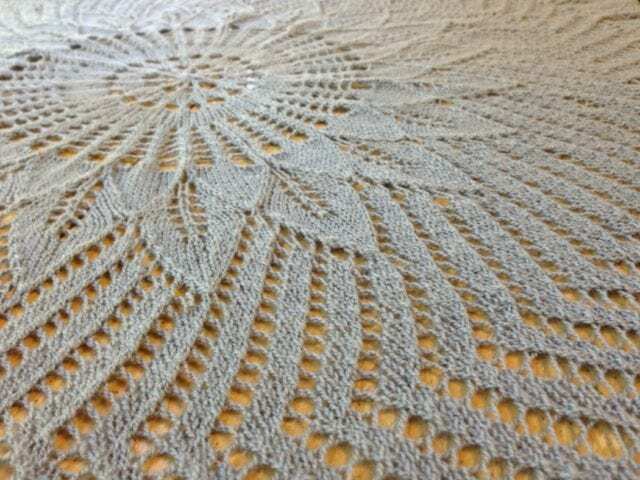 What a lovely match of yarn and pattern – a little rustic, a little delicate, and the light color lets the lace edging shine. We love seeing what folks make with our yarns – thank you so much for sharing your projects with us. Hope you’re enjoying the holiday weekend, and we look forward to seeing you on or after the 28th!